I have a love/hate relationship with these things. Nostalgic as they come, I love love love looking back and reliving stories and memories from this year, last year, all-time. But I hate having to choose. 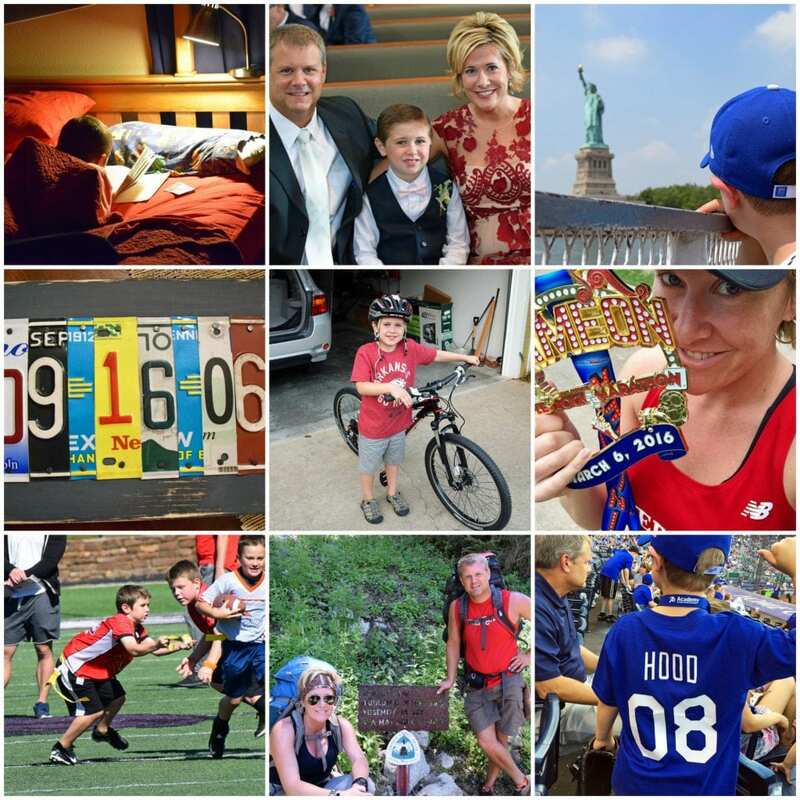 Instagram decided a few years ago that a 3×3 grid is the perfect format for sharing our “best of” in the modern age, and following its lead I somehow chose 9 stories from 2016 that made me smile the biggest, laugh the hardest, live the loudest. These are the stories that made 2016 special, but even as I (SOMEHOW) chose only nine photos to include here, I was reminded that for every one of these “big” moments of 2016 — there are a thousand “small” moments that are just as special. My real “best of” is a mosaic of 2016 tiny photos — but let’s go with 9 for today. Cheers to 2017! In no particular order, Highlights of 2016: Colt’s love for reading caught fire this year and he’s now an official member of Hank the Cowdog’s Security Force, Colt was the ring bearer in a family wedding in June, he and I traveled to NYC in July – kicking off a new chapter of travel that excites us both, Jeff and I celebrated our 10th anniversary in September, Colt learned how to ride his bike and got a major upgrade that makes him look SO BIG, and (though it seems like a million years ago now…) I ran the marathon to end all marathons in March. Colt played flag football this fall (and baseball and golf and basketball), Jeff and I hiked 50 miles of the PCT in July, and we surprised Colt with a trip to see his first MLB game on his 8th birthday in June. That doesn’t even count our family trip to Vegas for Thanksgiving, Colt starting 3rd grade, a season of the most gorgeous Razorback tailgating weather we’ve ever had, our trip to Washington D.C. for Gold Star Families Weekend in September, summer weekends at the Farmer’s Market, quietly redesigning and relaunching my blog this fall to better reflect the stories I’m telling these days, and hiking and floating Northwest Arkansas and the Buffalo River area this year. 2016 was packed with memories, and I refuse to choose a favorite. That’s why I write, and why I don’t leave home without a camera. We’re living such a fun story, and it’s the pleasure of my life to tell it. You’ve got big shoes to fill, 2017 — let’s do this. I look forward to all of your coming adventures in the new year. Experiences not things ?